A good 2-day marine chronometer in its original mahogany box, signed on the silvered dial Hunt & Roskell, 156 New Bond St.t London. 13013. 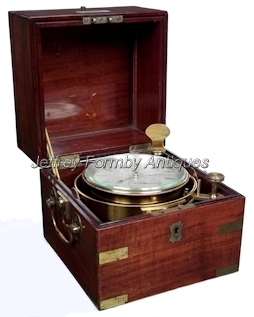 The 3-tier mahogany chronometer box has brass drop handles and brass corners. 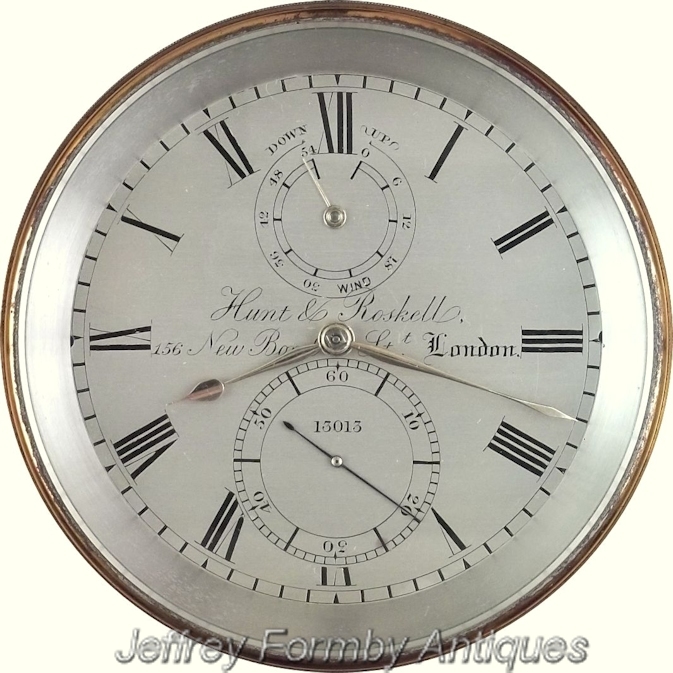 The top tier has a brass plaque to the centre and the middle tier has a bone plaque engraved Hunt & Roskell. London. No. 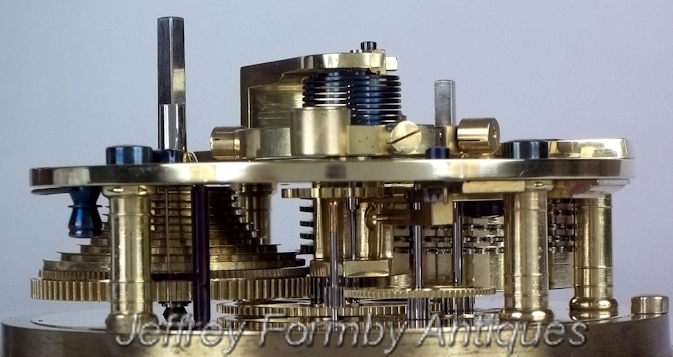 13013. 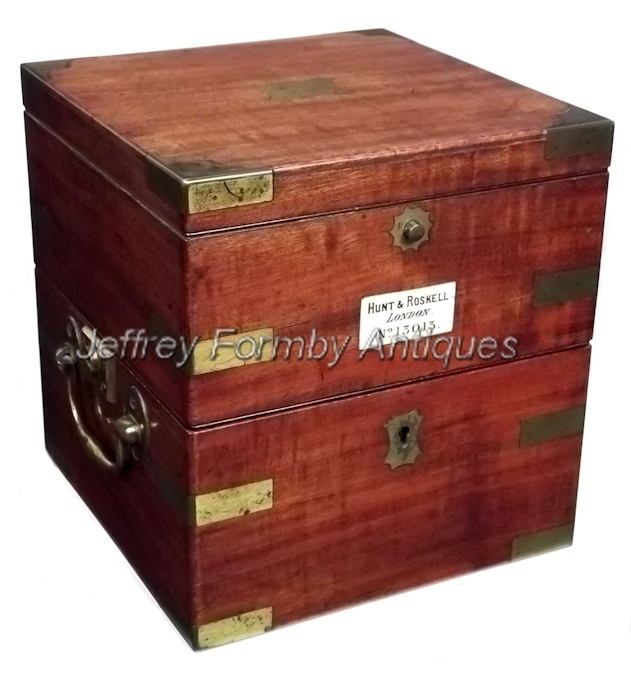 The box measures 6¾” x 6¾” x 7” high. 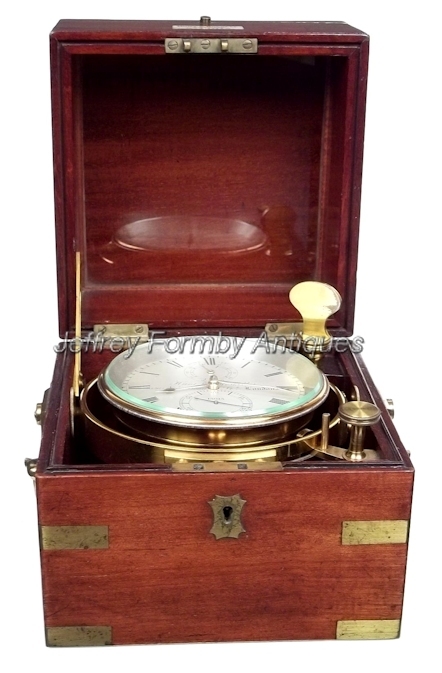 The chronometer has subsidiary dials for seconds and state of wind with gold hour and minute hands. 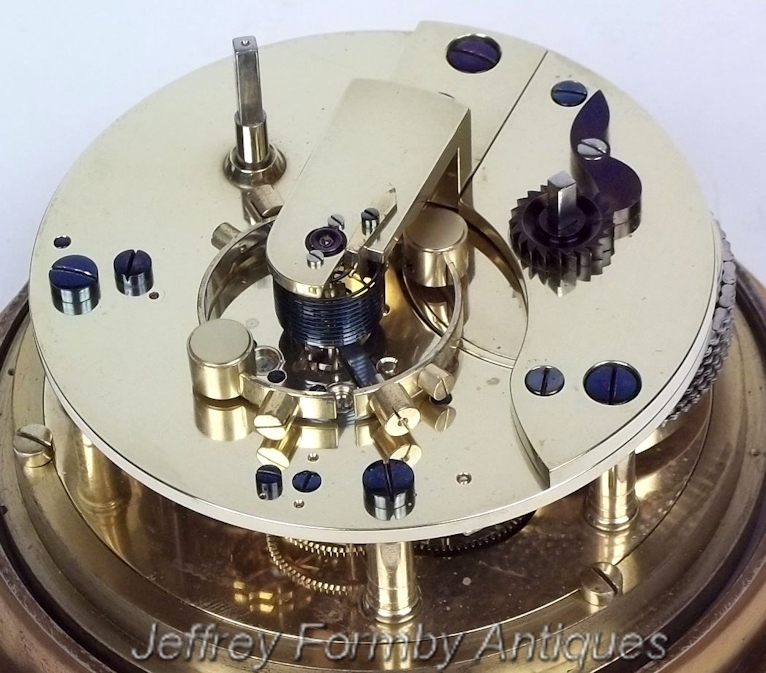 The movement has an Earnshaw type spring detent escapement, and the inside of the bowl is stamped 31. 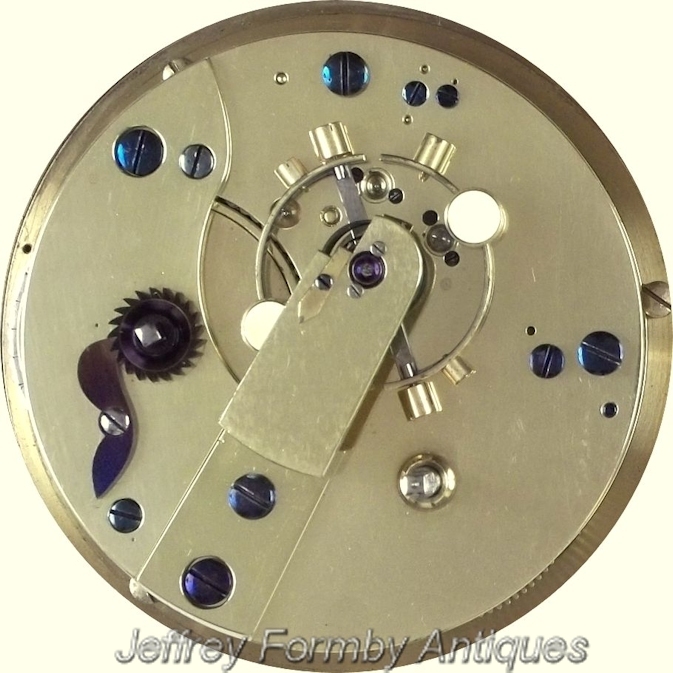 The chronometer is complete with its original ratchet winding key. 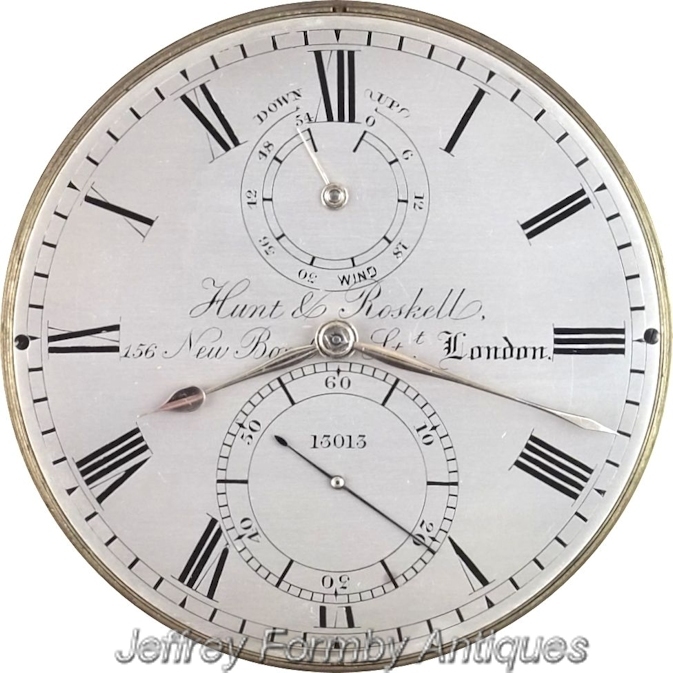 Hunt & Roskell, and the business remained at 156 New Bond Street until 1911. 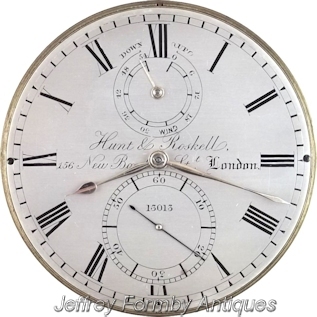 Hunt & Roskell were retailers of clocks, watches, jewellery and silver.